Beyer Carpet Cleaning is known for their residential carpet cleaning in San Antonio and the surrounding areas but what you may not know is that they also do commercial carpet cleaning. Not just carpet cleaning but tile and grout cleaning and upholsterycleaning as well. As a matter of fact they have a few office they clean regularly through out the year. From private schools to doctor offices to regular business offices Beyer Carpet Cleaning has the experience to complete commercial carpet cleaning San Antonio. Beyer Commercial Carpet Cleaning San Antonio has cleaned their fair share of office chairs. You know those nasty waiting room chairs that person after person sit on day after day. 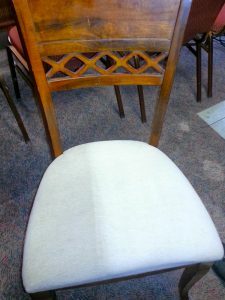 Well Beyer Carpet Cleaningcan clean and sanitize those nasty chairs so they are inviting and comfortable for your patients and clients. They have cleaned tile and grout for a private school. The tile had not been cleaned in almost 20 years and although they weren’t able to restore the tile and grout to it’s original state (it’s been 20years!) they were able to improve the look and cleanliness of the tile and grout. Since Beyer Carpet Cleaning is a small family owned company they stayed all day and all night and part of the next morning to finish this school. They weren’t going to leave until the job was done and done right! More often Beyer Carpet Cleaning is hired to clean the carpets of offices. A few times through out the year they clean a dentist’s office and a chiropractor office. Cleaning all the offices in their building for a reasonable rate. If we didn’t do a great job cleaning their carpets they would not have us clean their office carpet several times through out the year. As a matter of fact the owner of the chiropractor office was so impressed by the carpet cleaning he hired Beyer Carpet Cleaning to clean the carpets and sofas in his home. Does commercial cleaning cost more then residential carpet cleaning? Well of course! In most and pretty much every service industry price changes but what Beyer Carpet Cleaningdoesn’t do is gouge your eyes out. They offer a fair price depending on the number of rooms, size, and length of time it would take to clean. 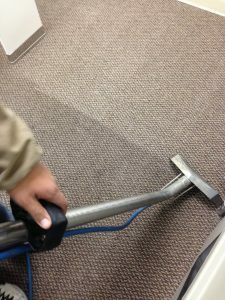 Beyer Commercial Carpet Cleaning San Antonio is slowly becoming more popular for their commercial carpet cleaning and would love to do more. They have the experience and the equipment to handle just about every commercial job. Just as they take care of their residence Beyer Carpet Cleaning will take care of their commercial customers as well and offer a satisfaction guarantee with their services. They explain everything from if you used carpet powder what could happen after steam cleaning to how to protect the carpets in your office so they do not wear and tear as fast. They also offer free on-site estimates. The owner of Beyer Carpet Cleaning will travel to a commercial site himself to quote a carpet cleaning price. This way you know you are getting the best deal and you the customer can put a face to the name Beyer Carpet Cleaning. So call them today for your free commercial on-site carpet cleaning estimate. Commercial carpet cleaning before (bottom of pic) and after (top of pic).